NEW DELHI: Former cricketer Gautam Gambhir joined Bharatiya Janata Party (BJP) ahead of the crucial Lok Sabha elections scheduled to be held from April 11 to May 19. He joined the ruling party through a press conference on Friday indicating a possibility for his poll contest. Sources said he is likely to vie for New Delhi Lok Sabha constituency, replacing Meenakshi Lekhi. 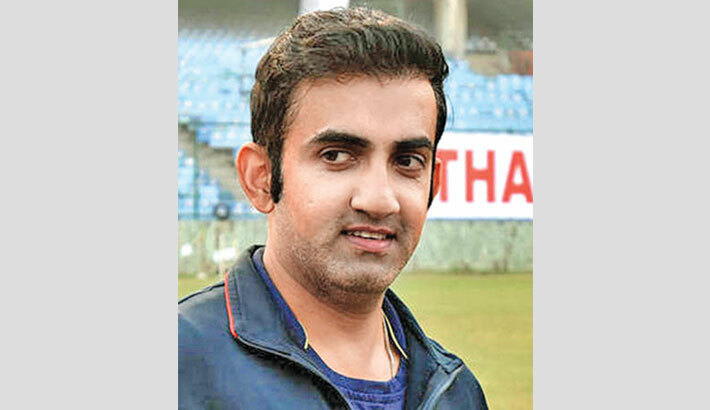 Gautam Gambhir, who announced his retirement from cricket in December 2018, was vocal about his support to BJP. He often lauded the policies and decisions taken by the ruling party. He was welcomed to the party by finance minister Arun Jaitley and law minister Ravi Shankar Prasad. Gautam Gambhir, who received the Padma Shri Award from President Ram Nath Kovind led six one-day matches from 2010 to 2011, securing India’s victory in all matches. Meanwhile, BJP released the first list of candidates for Lok Sabha polls on Thursday. Prime Minister Narendra Modi will once again contest Lok Sabha election from Varanasi while BJP chief Amit Shah will contest from Gandhinagar in Gujarat replacing party veteran LK Advani. BJP announced names of 184 candidates for Lok Sabha elections in its first list.